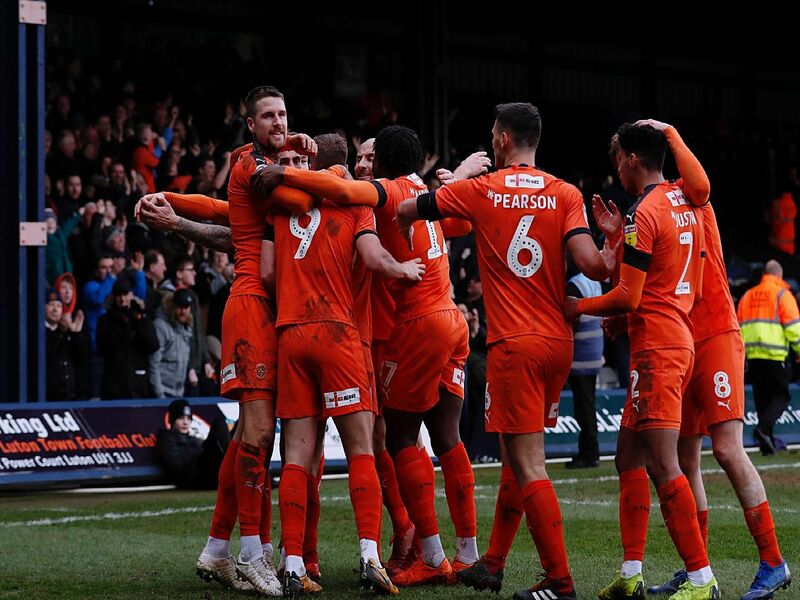 Luton Town equalled their best ever unbeaten run in the Football League by beating Wycombe Wanderers 3-0 on Saturday to make it 19 games without defeat. James Collins scored his 19th of the season, before George Moncur's late double was enough to seal the victory. Here's how the Hatters rated on the day. Another clean sheet for the Town stopper, his 14th of the season in the league. Was secured with relative ease once more as well, Wanderers never breaking through Hatters' back-line. Was a huge threat for the Hatters, particularly in the first period, as he often broke the Wanderers' defensive line. Low effort well saved by Allsop, while inviting delivery saw Collins get what was a crucial opener. Marked his 100th game for the club in the perfect manner as Town matched their best run and recorded another shut out. Set-plays always caused danger, and he was always an option on the left hand side. Up against the beast in Akinfenwa and handled him excellently as the Wanderers striker couldn't manage to get a clear sight of goal. Relished the physical challenge, dominating his Chairboys opponent.